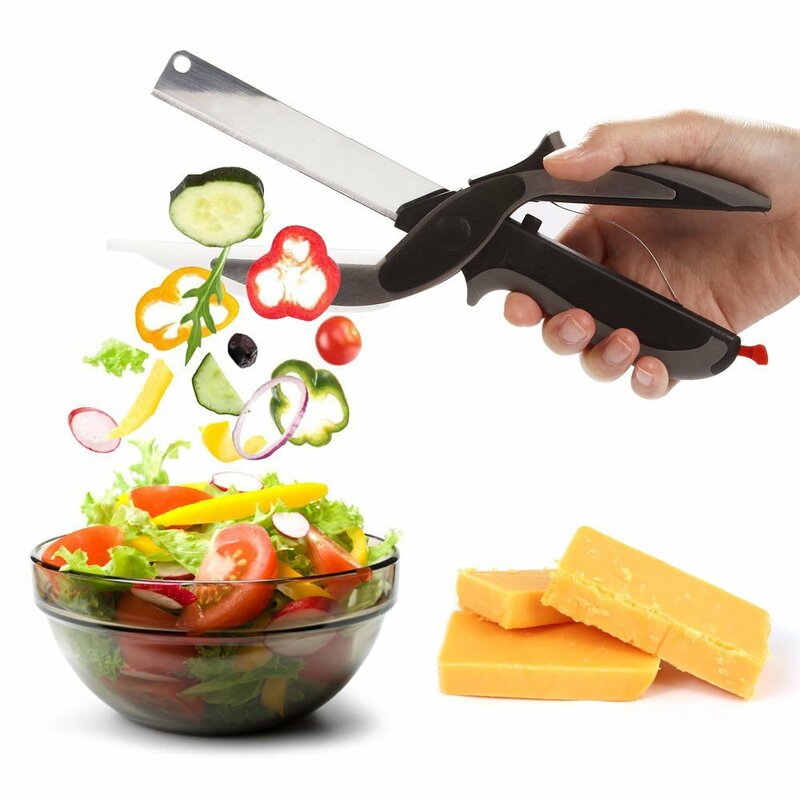 Chopping Your Favourite Foods Has Never Been Easier! 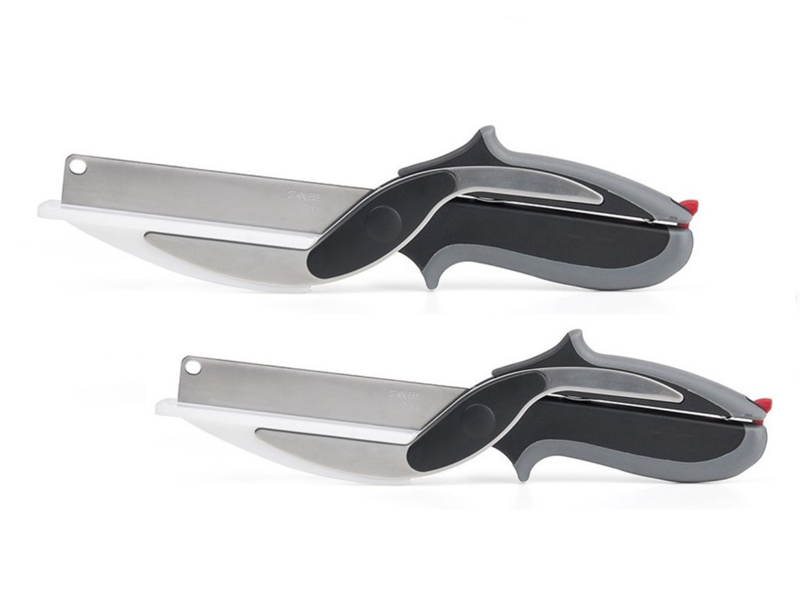 EasySlice is the revolutionary 2-in-1 knife and cutting board that chops and slices your favourite foods in seconds! The secret of the 2-in-1 design is the ergonomic power pressure handle which helps you to effortlessly cut through food fast! 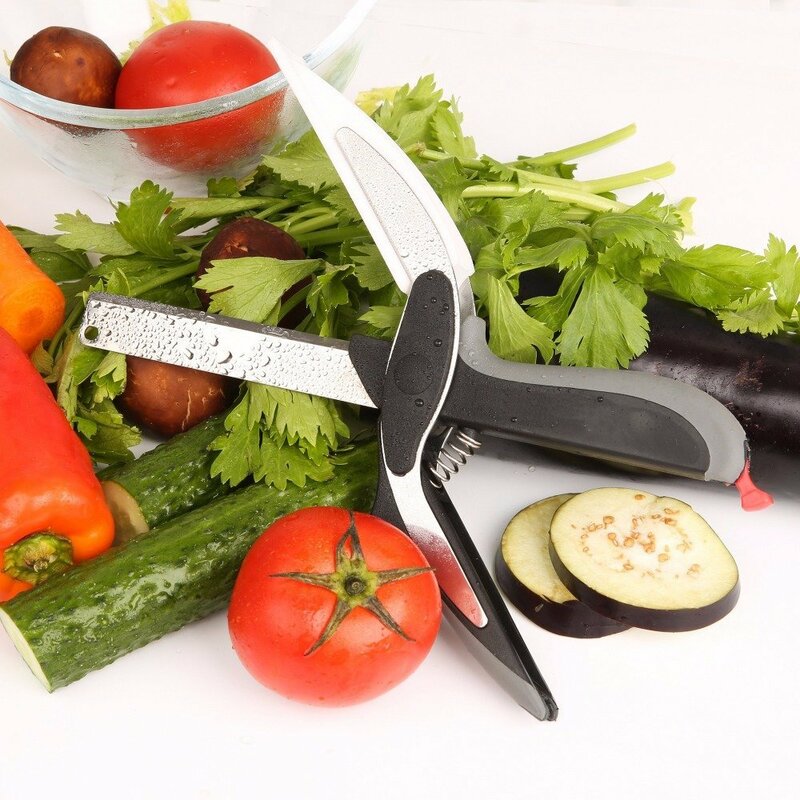 EasySlices' premium blade and extra wide mouth makes cutting fruits, veggies, meats and more fast, easy and mess-free. 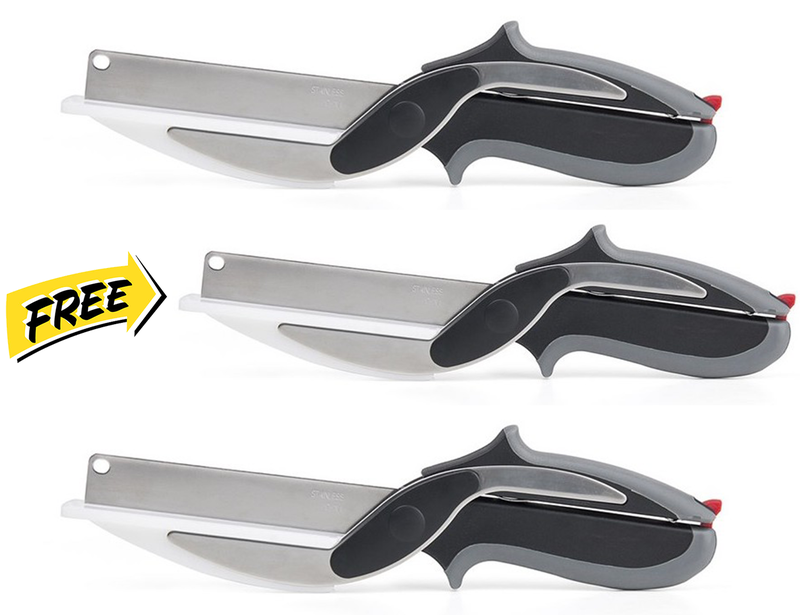 The EasySlice is a knife and cutting board in one handy tool! With the EasySlice, cooking has never been easier. Easier prepping, and easier clean up. Anything that you cut using the EasySlice falls onto the cutting board attached to the sheers. 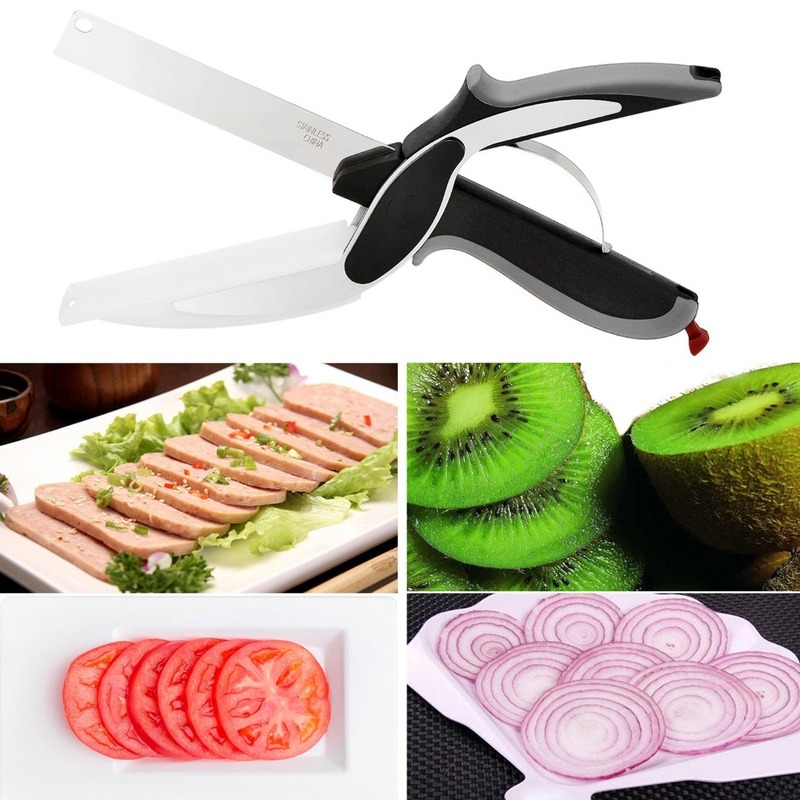 Cut, chop and slice fruit and vegetables, and add them directly into the pot, over salads or reserve for a recipe. Spend more time enjoying the food you love with the EasySlice! EasySlice features an ergonomic grip which makes for easy, respective cutting and lessens strain on the wrist. Perfect for preparing soups, salads, fruit plates, and hors d'oeuvres trays. The EasySlice is also designed with an angled blade that keeps its sharpness. It opens wide for big foods like onions and potatoes, which saves time and eliminates the need for pre-cutting. Designed for safe, easy chopping and cleanup! 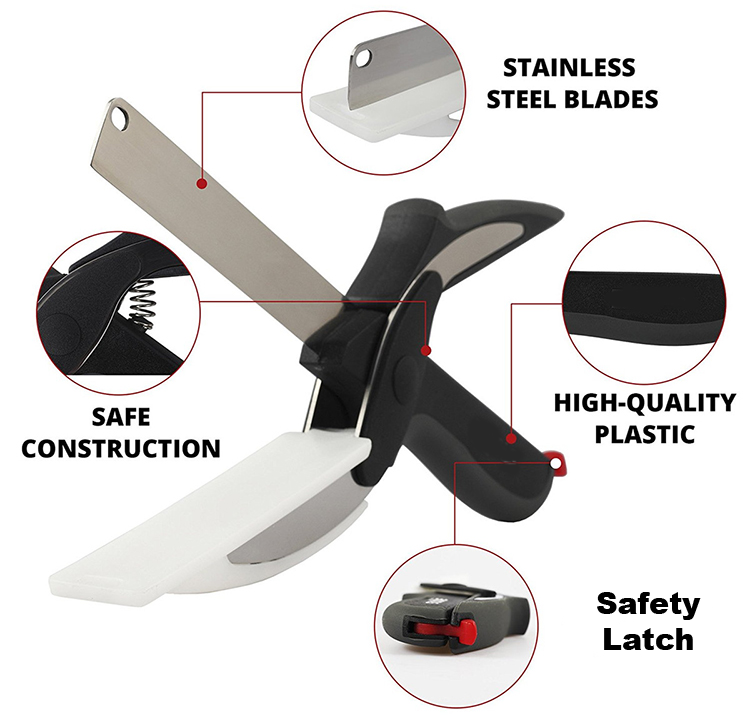 The one-flip safety latch prevents the EasySlice from opening and exposing the blade. Also makes for easy storage in a drawer alongside your other essential kitchen tools. Not only that, the EasySlice easily rinses for quick cleanup. It is also dishwasher safe, so you can spend less time cleaning up your kitchen. What do our customers have to say about the EasySlice? I have to admit I was excited for this because I have an older one from a different maker but this one is a lot more practical in the kitchen. The cutter is rather built well and seems to me it will last quite a while. 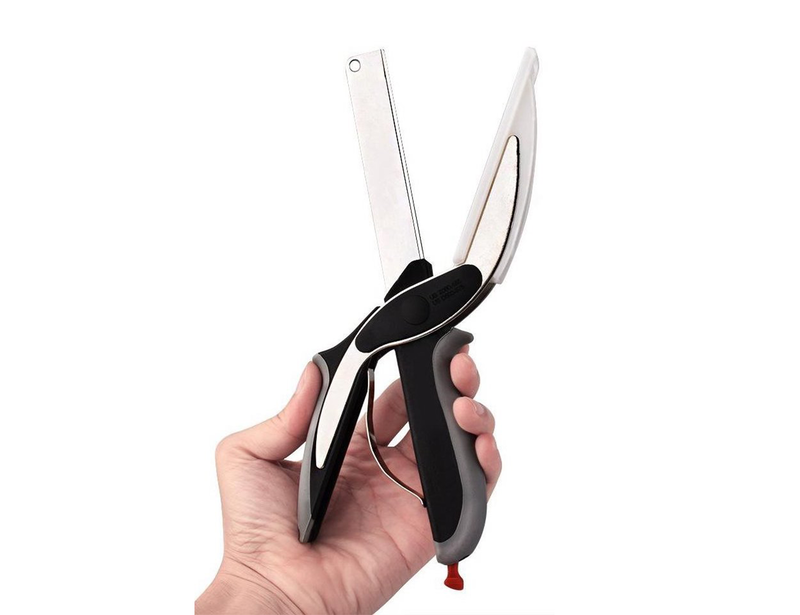 Cutting items with this is a pleasure and makes life easier. I love to cut green beans with them and it is so much easier than snapping the ends off like typically is done. Cutting carrots are simple and the metal strip on the bottom portion makes the cut complete rather than some cutters which you are unsure if the cut is complete. I absolutely love this and think every kitchen must have one of these to make your life that much easier!! I’ve been using the Easyslice for over a month. They are so durable and functional for food prep. The sharpness of the blades are just right and have amazed me with the ease of use. I can cut through frozen veggies, bacon and meats for soups and casseroles, effortlessly. I really do like cutting food items with this knife/cutting board utensil as a knife alternative in many instances. Clean up is easy, It's made from food-grade stainless steel that does not rust or blunt. I find that they would be a great gift for various occasions and will buy more because the price and quality are right!! This is my go-to right now. It helps with all the small tasks during an average day. Cuts bananas for cereal for breakfast, slice cheese with the peeler for lunch, and pop open a nice cold well deserved beverage to go with dinner. It's not like this will replace your knife set, but it absolutely is more convenient for the everyday small things that come along. And they are dishwasher safe making them simple to clean! Try the EasySlice out for 30 days and if it doesn’t work for you, you’ll get your money back! There’s absolutely no-risk in giving it a try.